Trying to be a good miser, I took the Bimmer to Carmax. Their pervasive "we'll buy your car whether or not you buy ours" convinced me to make the 70 mile round-trip. Ouch. It has just 8,000 miles on it, and is in mint condition. I knew I would be upside-down, but was really hoping to fetch $35,000-$36,000 for it, write a check for the balance and be out from under it. So, my quest continues to eliminate this $800 monthly expense. One suggestion the appraiser gave was for me to try again in the spring. 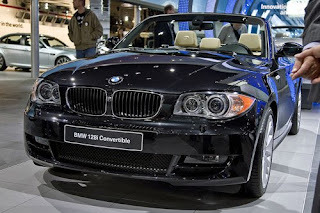 It's a convertible and the market will be hungrier for one when the weather heats up. Ideas? If you can afford to pay for it till spring and not put too many miles on it, I agree with Carmax, wait till spring, if not and your looking at a repo, sell now and suffer your loses.